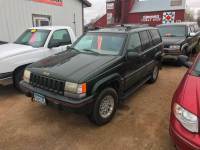 ...1995 jeep grand cherokee Orvis Edition. Needs transmission. Good parts truck with 4x4 and strong v8 engine.